***PPHSG,INC. IS AVAILABLE TO HIGH SCHOOL, COLLEGE STUDENTS AND EX-OFFENDERS WHO ARE IN NEED OF COMMUNITY SERVICE HOURS OR AN INTERNSHIP OPPORTUNITY. 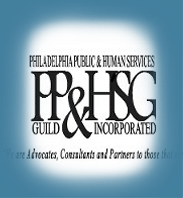 WE CAN ONLY FURNISH JOB REFERENCES TO THOSE WHO HAVE JOINED US AND HAVE SERVED ON AN INITIATIVE SPONSORED BY PPHSG,INC.